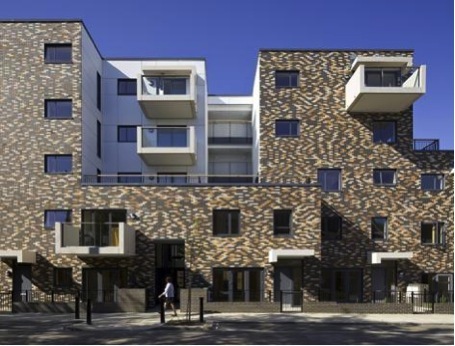 __'Low carbon' design: a mistaken proxy for 'sustainable' design? Across much of the industrialised world, the construction industry is tasked with meeting ambitious carbon reduction targets. Not only is the construction and operation of buildings responsible for a large proportion of carbon emissions, but they are also dependent on a dwindling and insecure fossil-fuelled energy supply. Reducing carbon emissions is ideally done by significantly reducing energy demand. First through increased energy efficiency and then, if still required, by meeting the remainder of reduced energy needs with ‘renewable’ energy sources. Usually, local building and planning codes regulate these aspects of building performance and are supported by assessment tools such as LEED, BREEAM and, in the UK, the Code for Sustainable Homes. Although such tools include wider sustainability aspects, such as water use, health, biodiversity, accessibility and material resources, these complex frameworks do not tend to capture the intricacies and interconnectedness of sustainability issues. This can result in ‘carbon counting’, which often neglects other environmental impacts that cannot be measured in CO2. We are all agreed that ensuring airtightness in colder climates is crucial for thermal comfort and to reduce heat losses. 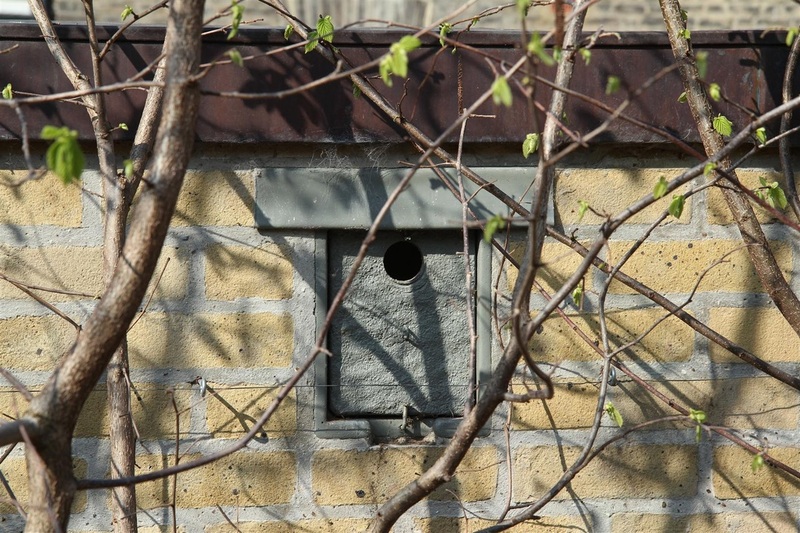 Yet, by doing so we minimise the gaps and cracks where local birds can nest and bats can roost. (i) Particularly in the refurbishment of existing buildings, increasing airtightness can lead to a drastic reduction in local wildlife. With careful thought, the designer can use planting to reduce energy consumption in buildings, while improving residents’ well-being and providing a crucial habitat for local wildlife. One such integrated approach is by bere:architects (see image below). The more airtight our buildings become, the more important it is to have good air quality – making the choice of internal finishes and materials crucial to the end design. Specifying materials and building finishes which are not made with formaldehyde glues and other off-gassing elements matters more in airtight buildings to keep its occupants healthy. However, such implications and consequences are not usually captured by existing frameworks. 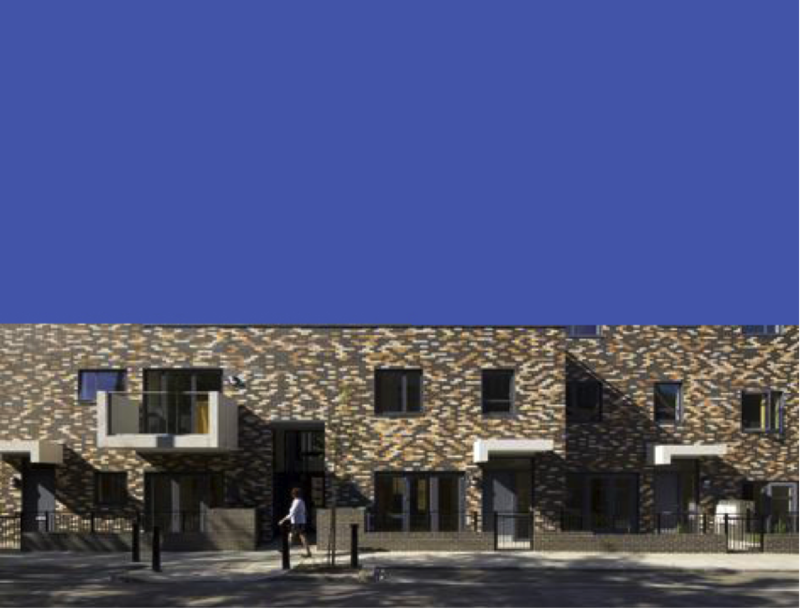 In the quest to meet a development’s energy needs with on-site low and zero carbon technologies, ‘zero carbon’ development densities tend to be below 50 dwellings per ha. 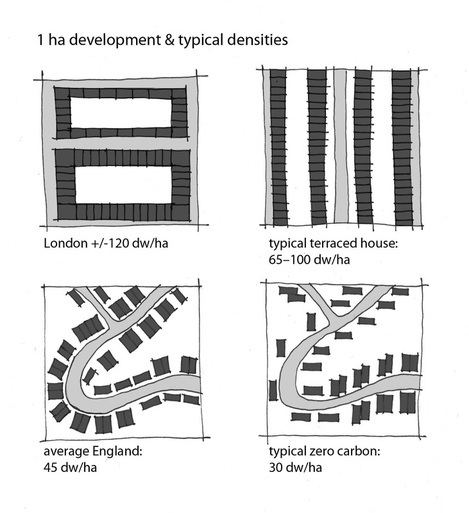 (ii) Yet, this is well below the recommended sustainable density of 80 dwellings per hectare to support public transport, cycling and walking and mixed-uses. (iii) The impact of this is illustrated by the diagrams below. So while buildings may be ‘zero carbon’, the increased energy for local transportation is definitely not. Additionally, roofscapes, which can be used for amenity purposes, are now experiencing increased competition with roof-mounted renewable energy technologies. What this development would have to look like to be zero carbon, with loss of density and roofspace. Clearly, we want to avoid legislation and frameworks becoming any more complex; but if the direct impact of our ‘carbon reduction drive’ on other aspects of sustainable design is properly acknowledged then we would have a better chance of designing energy efficient buildings that are truly ‘sustainable’. The challenge is to acknowledge that by undertaking one strategy, adverse impacts may occur on another environmental parameter, which cannot always be measured in CO2, and to carefully investigate how any such adverse impacts can be minimised and negated. I believe that it is where carbon counting and other sustainable issues meet that the richness, creativity and opportunities lie for environmental design. This means that decision-making is far from straightforward, but if a designer is aware of such opposing issues, at least an informed decision can be made and ‘low carbon’ can then also be, at last, ‘sustainable’.